If you have any questions, please contact Drew Miller at (800) 342-3197; (850) 224-2727 Ext. 270; or msc@ficpa.org. FICPA’s endorsed program for managed data hosting offers discounted pricing to members for secure, and compliant information technology services through Coaxis International (Coaxis), an experienced provider of managed data hosting (cloud computing) solutions. Private, Hosted Environments Customized to CPAs. Affordable – Scaled to Accommodate Small to Large Size Firms. Financial Software Hosting Expertise – Thomson Reuters (CS Professional Suite), Wolters Kluwer (CCH Solutions), Intuit®, Drake Software and others. Coaxis CPA provides a fully-hosted and managed network solution designed to remove the complexities of federal and industry compliances, curb the demands of information technology infrastructure, and greatly minimize the threat of cybercrime. The Coaxis team has extensive experience in hosting and supporting a broad range of tax and financial reporting software applications. 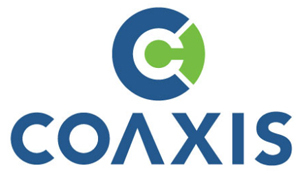 A Florida corporation since 2002, Coaxis operates a privately owned, single-tenant, Tier 4 Data Center in Tallahassee, Florida. Click here to request more information or call 850-391-1022.